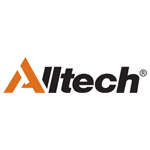 Description: Founded in 1980 by Irish biochemist and entrepreneur Dr. Pearse Lyons, Alltech is a leading global biotechnology company whose mission is to improve the health and performance of people, animals and plants through natural nutrition and scientific innovation. Alltech’s headquarters is in Kentucky in the USA while the company has more than 100 manufacturing sites globally, with three bioscience centres, dedicated to research and education, two located in the USA and one in Ireland. Other locations: 77 production facilities across the globe with three bioscience centres, dedicated to research and education, two located in the USA and one in Ireland.